Professor of International Business at Aalto University School of Business. She has written extensively on the organization of multinational corporations and its evolution over time. She is most well-known for her contributions to language-sensitive research in international business and for advancing qualitative methods, particularly the case study, in international business. She has been Visiting Professor at Leeds University and St. Petersburg State University. Her research has been published in the leading journals of management and international business such as Academy of Management Review, Journal of Business Ethics, Journal of International Business, Journal of Management Studies, Journal of World Business and Organizational Research Methods. 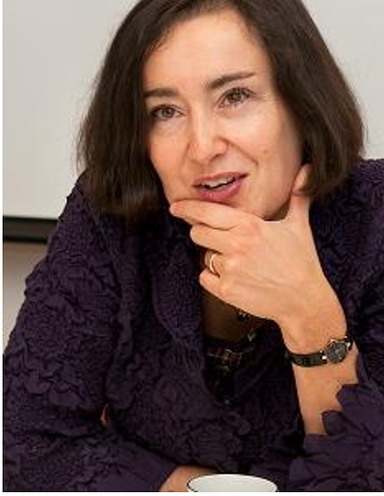 She has also co-authored books and edited volumes (e.g., Handbook of Qualitative Research Methods for International Business, 2004; Rethinking the Case Study in International Business and Management Research, 2011 and Language in International Business: The Multilingual Reality of Global Business Expansion, 2014). She was elected Fellow of the European International Business Academy (EIBA) in 2012 and Fellow of the Academy of International Business (AIB) in 2018. She is also member of the Finnish Society of Sciences and Letters and member of the Executive Board of AIB (Vice President Program). She serves on editorial boards of many leadings journals in her field.